On April 26th the last movie of the Avengers franchise will be released. 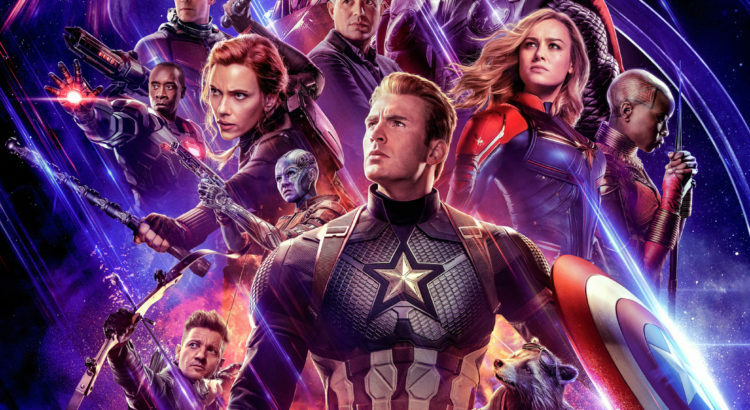 This movie has been highly anticipated since the shocking end to the last Avengers movie, and fans cannot wait to see who will be left standing at the end of Avengers: Endgame. While this is the last Avengers movie, it is not the last Marvel superhero movie. There are other Marvel movies already being cued up with everyone’s favorite characters from the Marvel Universe. One movie that has been talked about for some time now, and that has been confirmed is coming out in 2020 is “Black Widow”. Black Widow first made her appearance in Avengers and has been in other Marvel movies but has not had a solo film. Fans will be excited to get to know more about her and her backstory. Another film set to release is the Black Panther sequel. The first film broke many records and was nominated for an oscar for best film. The sequel has been highly anticipated since the release of the first movie. Two more sequels are also already confirmed to be coming out in the coming years: Guardians of the Galaxy Vol. 3, and a Doctor Strange Sequel. Both of these movies joined the franchise later and made their first group appearance in the previous Avengers movie. Not only are there many movies still in the works to continue to build on the Marvel Universe, but there are also TV shows that are being made. A confirmed show that is being made is “Falcon and Winter Soldier”, as well as “Hawkeye”. These two shows in particular, similar to the Black Widow movie, will be the first solo project for these Avenger members. While the group movies of the Avengers will be over soon, over the past several years every movie seems to feature at least two or three Avengers. This means that as the Marvel Universe moves forward we will most likely still see the characters that we have fallen in love with since 2010. While Thor doesn’t have his own movie or TV show, there is a good chance that he will make at least one appearance in at least one of these sequels and Television shows. One of the most anticipated shows, Game of Thrones, comes back and starts its final season on Sunday. It has been two years since the last season, season 7, aired on HBO, and people cannot wait for to see the final season. There are no rules in the show and everyone is waiting to see who, if anyone, will survive till the end of the show. 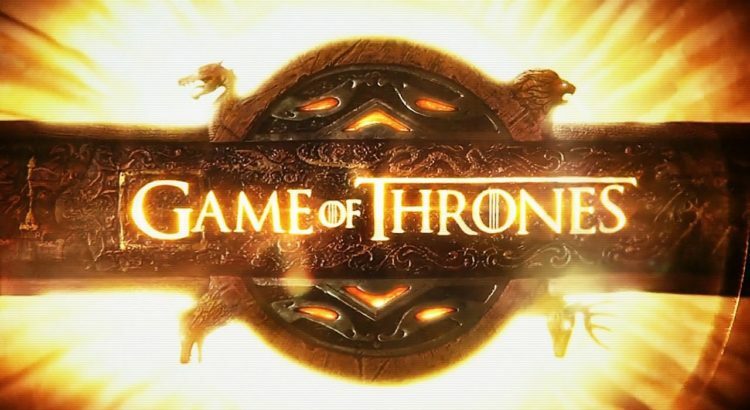 Game of Thrones is one of the most watched shows in the U.S. right now, so there will be many watch parties for the premier of the final season. Here are some ideas for a Game of Thrones watch party. Game of Thrones is a show that you have to devote your entire attention to or else you will undoubtedly miss something important in the show. But if you think that you can handle multitasking, there are many drinking games that are fun to play to the show. These could be good to make you and your guests watch the show more closely to see when you have to drink. My favorite list is to drink when: Daenerys dragons appear, someone gets drunk, main character dies, Little Finger schemes, when there is lots of violence, white walkers appear, the Iron Throne is shown, and someone says “winter is here”. This list will make you drink steadily throughout the episode. While it is hard to eat while watching game of thrones because of the gore, some snacks would be ideal for a watch party. An easy snack is to make Game of Thrones cookies, they may be difficult to decorate if you decide to put the houses banners on them. You could also just decorate them with house colors or with each houses saying, such as “Winter is Coming” and “Fire and Blood”. Another idea is to make cake pops that are shaped like dragon eggs, or even just a cake that is shaped like a dragon egg. If you have all three eggs guests can choose which dragon they want to eat. The last thing that you could do for a Game of Thrones watch party is to dress up for it. It is hard to find any clothes that resemble the characters that are under $70, but shirts are only $20. There are many shirts that say “Winter is coming”, “You know nothing, Jon Snow”, and “A girl has no name”. You could buy a shirt that represents you favorite character and wear it in the hopes that they will not die. Food is a huge part in everyone’s lives. Not only is it essential for life, but it is also a huge part of people’s social lives. One of the easiest activities to do with friends is to have a meal them, and to go out to eat. The food network and the internet have also brought attention to the idea that food is art. There are so many videos going viral on Facebook of beautiful pastries and cakes being made. 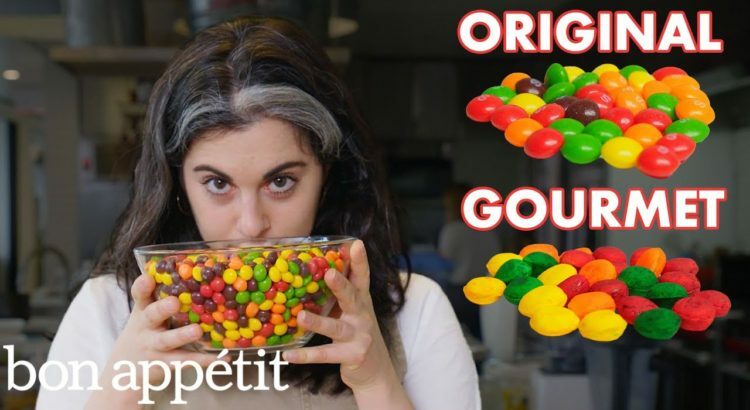 One of my favorite youtube channels about food is bon appetit. My favorite segment is about this chef remaking people’s favorite childhood snacks from scratch. She does not have a recipe to go off of, she just looks at how the food is constructed and continues to make it until it is a perfect (if not better) replica of the food. She will spend sometimes up to two weeks trying to perfect one recipe. Some examples of what she has made in the past is Skittles, Oreos, Cheetos, and Pringles. Another very popular youtube channel and also has viral videos on Facebook is Tasty. Tasty does a variety of videos with their most common type being making a dessert with some friendly music playing in the background. My favorite segment of Tasty videos is when a chef makes gigantic versions of food. He has made a pizza slice the size of a cookie sheet, and a burger the size of a pizza pan. I enjoy it because you not only watch him cook but he also explains how he is making it so that you learn how to make a normal or giant version of the food. Another popular food segment is called Worth It. It is a segment from Buzzfeed’s youtube channel. The videos feature two people who pick one food and go to three different restaurants around town to try the same food at three different price points (low, medium, high). The show is interesting to watch because you get to see what the different restaurants do to the food that makes it a different price. It’s also great if you live around the area or are planning to travel there to already know of some famous restaurants to try. With the weather becoming warmer, more people are ready for spring and have begun wearing there spring clothes even though it is still 30 degrees outside. Most people think of spring as a new beginning. It’s when the flowers bloom and the birds come back and the trees regrow their leaves. It is also when most people decide to clean. 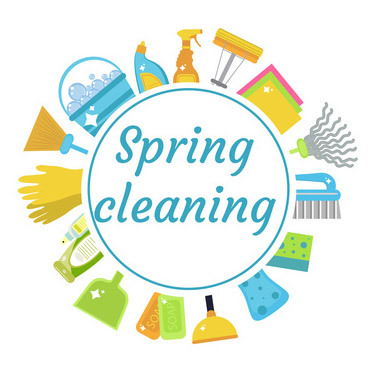 Spring cleaning is very common, most people want to declutter their houses and their things when the weather gets nicer because they have a boost of energy from actually being able to go outside again. I also enjoy spring cleaning, particularly the part where I go through all of my things and get rid of the things that I no longer need. But I always have issues with this. How do I know that I don’t things anymore? What if a situation pops up where I need this stapler that I have not used in over 9 months? I have begun looking online for tips about how to go through your things to decide what to keep and what to give away. The most popular thing to clean out is your closet. You have to go through it anyways to put all of your sweaters and winter clothes in a bin and then to take back out your tank tops and shorts. But it can be hard to decide what clothes to keep or not. I have a lot of clothes that I never seem to wear but I have to keep them just in case a special occasion arises where I need them. The best strategy that I have seen when deciding what clothes to keep and what ones to give away is to turn all of your hangers in one direction, and when you where that item of clothing switch the direction of the hanger. This way after a certain amount of time (the time frame I saw was 4 months) you can see if there are any clothes that you have not worn at all. If you haven’t worn a shirt in 4 months, that generally means that you do not need it anymore. While this method takes a while and might not entirely count as spring cleaning, I think that it is the most effective way to clean out your closet. When deciding what items to keep that are not clothes, it could get a little trickier. I have several boxes of things that I never open but I can’t get myself to get rid of them. The most helpful things that I have found to do are similar to what you do with clothes. As you are going through things you ask yourself when the last time you used it was, and if it has been a long time then get rid of it. Some things that are small you might be able to get rid of and on that weird occasion that you need it you can ask a friend because chances are that they will have one laying around somewhere. Spring cleaning, while it might not be the most fun, always makes you feel better once you’ve done it. Your house and closet looks less cluttered, and you feel less cluttered and more refreshed. It has become common knowledge that bees are dying. I have seen many stickers, read many articles, and heard many people discussing this topic. If bees go extinct then the way that we live our lives will drastically change. This is a problem that most people do not know what to do about to fix it. Most people are also scared of bees, and run away when they see one, or they are generally not too happy about interacting with them. I have spent some time on a Bee farm in Ecuador. 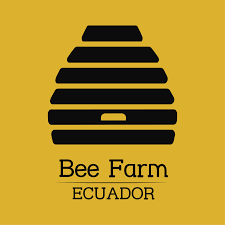 The farm was called Bee Farm Ecuador, and there was one family that kept all of the bees. The head beekeeper, Gabby, was telling me about what the bees want. She says that a couple of years ago she realized that she could talk to the bees, or at least that she could understand them. I know that this sounds crazy, but she says that there is a beekeeping community around beekeepers who are able to talk with bees. She says that the best way to save the bees is to invite them into our lives. Every morning she does yoga with the bees, and she will put healing crystals around the beehives that she has made for them. Gabby believes in somethings called “the calling of the bees”, this means that bees come to you if they think that you need them for some reason. She says that the bees come and bring their strong feminine energy and the presence of them will help your life in some way. While I do agree that at first this sounded ridiculous, being around her and the bees I quickly realized that I was not scared of the bees while thinking with the mentality of “the calling of the bees”. It didn’t matter if I believed that the bees were there to help my life or not, by me telling myself that they were I was not afraid of them when they flew by me and I heard there buzzing all around. I think that the best way for people to start to help and solving this disappearance of the bees is to first stop being afraid of them. And having “the calling of the bees” mentality is an easy way to do this. The hit Broadway musical “Hamilton” is finally coming to Michigan after being on Broadway since 2016. The show will be playing in three different theaters across the state throughout the 2019-2020 season. The Broadway show “Hamilton” seemed to become a new classic from the moment it started in April 2016. The writer, star, and producer Lin Manuel Miranda shot to stardom because of this show. He played Hamilton during its first run on Broadway and will occasionally come back and play him again for special performances. An example of this is during Hamilton’s Puerto Rican show to raise money for people in Puerto Rico who are still affected by the hurricane. The show seemed to be so popular that was even hard for celebrities to get tickets. There seemed to be constant stream of pictures of different celebrities watching Hamilton each night. It may not be surprising then to find out that tickets were about $500 a person to go see the show. Luckily the tickets for the three shows in Michigan are a little more manageable. Hamilton’s first stop after Broadway was Chicago, where tickets were still expensive and hard to get your hands on. I was lucky enough to go to a performance and see Hamilton in Chicago. They stayed in Chicago for several months before getting ready to tour elsewhere. Hamilton’s show in Puerto Rico was the start of their tour that will be all over the United States for the 2019-2020 season. One cast member on this touring company is University of Michigan alumni, Simon Longnight. He graduated from the University of Michigan in 2018, and is playing Lafayette/Thomas Jefferson on the tour. 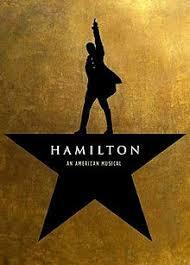 The Broadway hit musical “Hamilton” is coming to Detroit, Grand Rapids, and the Wharton Center within the next year. Tickets for the Detroit showings have already gone on sale!